This book was extrememly helpful in validating my beliefs that natural is always the better way to go especially when it comes to something as important as our bodies. 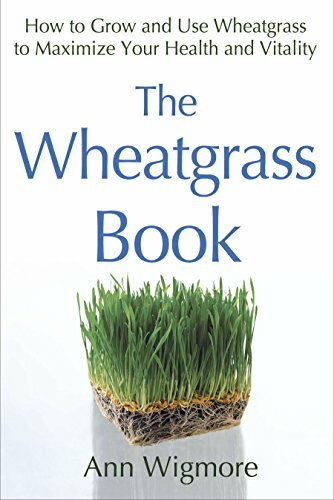 Ann is very thorough in her explanations of the benefits of wheatgrass and how to grow your own as well as use it in many beneficial ways to improve the body's immune system. Her credentials are great - she knows whereof she speaks. I learned a great deal about the benefits of raw living foods as opposed to cooked food and how the living enzymes in our food are destroyed at certain levels of heat. It's a little frustrating though to learn that most of the things in the supermarket (except for the produce dept.) don't give my body much nutrition at all. But the good news is there's many authors out there trying to make the transition easier for those of us that want to try to take better care of ourselves. To them, I say a big thanks!